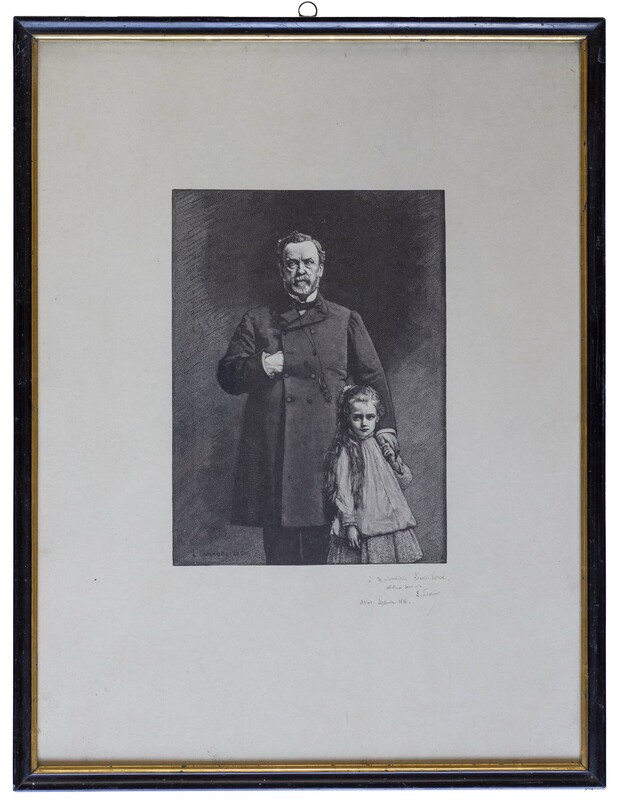 Louis Pasteur signed portrait engraving, showing the scientist with his granddaughter Camille Vallery-Radot. Engraving by Leon Bonnat is the same that hangs in the Pasteur Museum. 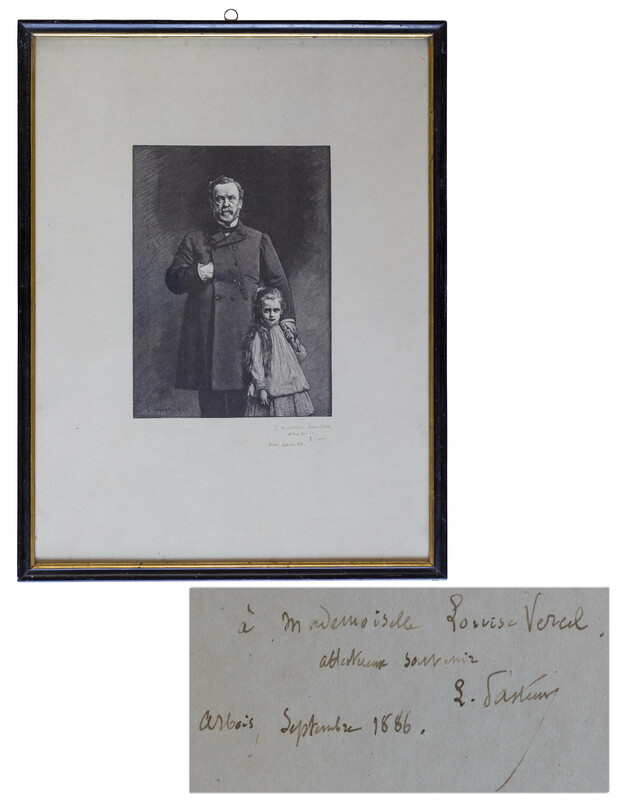 Pasteur's autograph dedication reads, ''to Mademoiselle Louise Vercel / affectionate recollection / L Pasteur / Arbois September 1886''. Engraving on a large sheet of Japanese paper measures 15'' x 20'', framed to 16.25'' x 21''. Very good to near fine condition.